Apple’s (now trademarked) slogan ‘There’s an app for’ resulted in two major reactions: companies creating apps for pretty much everything; and internet jokes about there being an app for pretty much everything. Smartphones and apps have taken the world by storm. From utility apps for our workplace, to the ones that help us keep track of our workouts, those we use to teach our kids interactively, the ones we play games on and any other sphere of life, apps have enriched our lives in many ways. At Ideafarms, we believe in taking the power of mobility beyond consumer apps. The core value of mobile devices – always on, wherever you go – can be leveraged by businesses as well as not-for-profits to address challenges that are very specific to them. For example, how about a tool that lets you capture your customer’s requirements real-time and suggests products from your range of solutions based on what THEY need? Working with you, we can help you identify opportunities for your business, from increasing productivity to improving your customer’s experience. 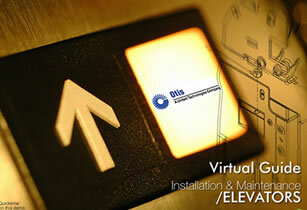 On-demand, Interactive Field Training for elevator installation and maintenance. 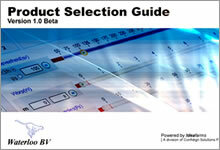 Configurator for parametric selection of HVAC air-handling. With increasing use of mobile devices and the "mass-consumerization of computing" the IT industry has moved from “tech-led” to “experience-led” digital products. The result, today's products are better than ever, interfaces are more intuitive, companies are hiring designers at the C-level and design is being sought after by venture capitalists and consultancies alike. Design in the software industry is no longer relegated to an afterthought for making interfaces look pretty, it is now part of strategy. The egg shaped model of organisational innovation explains the concept of organisational innovation using the growing and nurturing egg as a metaphor.